The Calgary Movers Who Bring Professionalism | Calgary Pro Movers Inc. Choosing from all the moving companies in Calgary is tough. Shouldn’t you hire movers who work hard to bring you value? Whether you need residential movers or office movers, whether your move is local or long distance, whether it is big or small – Calgary Pro Movers Inc. makes it work for you. Our quote form takes less than a minute to fill out, and we’ll get back to you fast. Just select your type of move, briefly describe what you need, leave contact info, and you’re done! The Green Bin Winter Moving Promotion Is On! Forget expensive cardboard boxes – get some FREE moving bins from Calgary Pro Movers Inc. when you book your move with us. Our green bins are easy to pack, carry, and stack all your belongings. We’ll drop your bins off, move them on moving day, and pick them up once you’re unpacked. All you do is pay the deposit. Skip the the flimsy and expensive cardboard boxes that you still need deal with after your move. Request a quote for your move today, and ask to include your free green moving bins! Submit Your Easy Quote Request Now! Calgary Professional Movers has been operating in Calgary since 2012. We supply moving services throughout the city province and country. Find out more about our company here! You want us to move your stuff, but did you know you could have us pack it as well? Imagine all the amazing things you can do while not packing. Now stop imagining and find out more! Sometimes you don’t have a place for your stuff when you’re moving. Whether you need to move out before you can move in, or just don’t have the space, our storage facilities are available to you. It is surprisingly frustrating to find Calgary movers that show up on time, that do what they promise, and that handle your personal belongings as if they were their own. And of course a moving company that doesn’t charge you a fortune. Calgary Pro Movers is a company that views these things as the bare minimum a moving company can offer. We’re not just licensed and bonded, we’re not just insured – this is like your doctor advertising they went to med school! We go above and beyond in ensuring your move goes as smoothly as possible. It doesn’t matter what you’re moving or where to – we make it work. At every stage of your move you’ll find us to be reliable, responsive, and flexible to your unique needs. We believe in finding solutions instead of blaming problems. Our moving services are suited to your needs. Nothing more, nothing less. We can handle everything from start to finish including packaging your stuff and moving the heavy stuff. Or you can box things yourself and hire us to move it all! Just need to move a heavy item like a piano or pool table? We can do that too! We also provide short term storage solutions if you need. 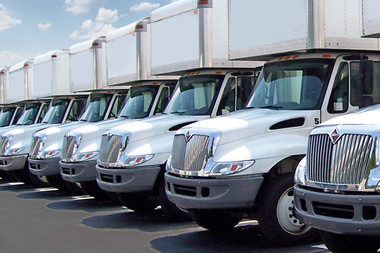 We have a trained crew of experienced, professional movers manning a fleet of trucks to accommodate your moving needs. Need boxes? No problem let us know! We can provide all sizes of moving boxes as well we can set you up with plastic storage bins to rent and return (free for all of March!). We can provide any and all supplies needed for your move. We will even do your packing for you if you’d like. Our customer focused approach means we are ready to meet your every need. Moving day is not a time for nasty surprises to snarl your move – we anticipate your needs and are ready for anything! Moving is stressful. Any time of transition is uncomfortable. With the right moving company, this can be made so much easier. We will move your stuff, but also pack, store, provide supplies, and be a responsive resource of information to help you feel confident through your transition. And if you think that’s going to cost you a fortune – think again! Request your quote today and find out how we can make your move easy and affordable.